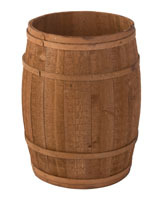 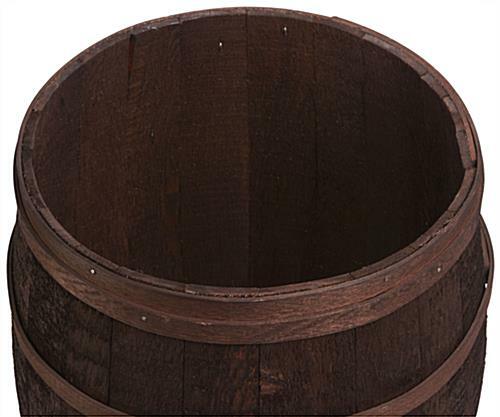 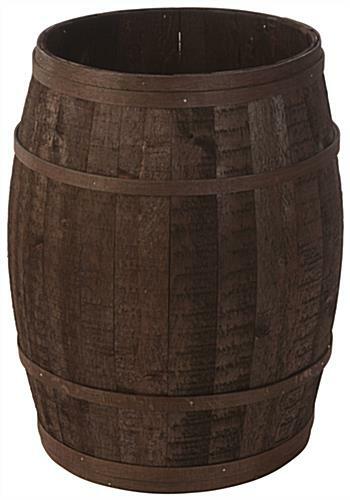 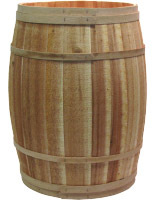 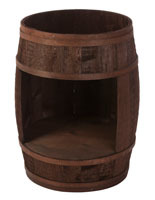 These wooden barrel dump bins have a classic design that evokes farms, country stores or apple orchard. 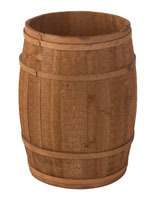 Each natural wood cask is hand coopered with durable Northern White Cedar and oak bands for durability. 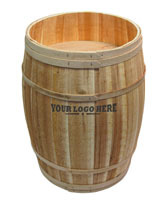 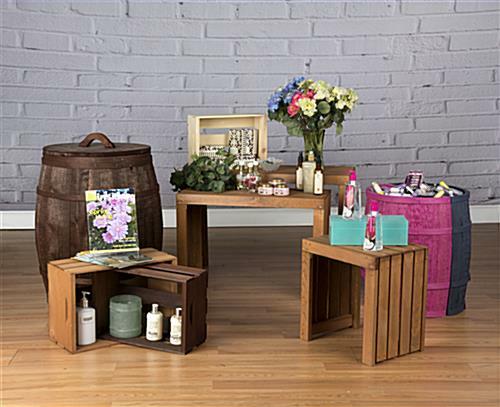 With their full size design, these handmade barrel dump bins are capable of holding a large quantity and variety of merchandise. 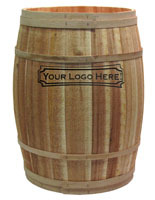 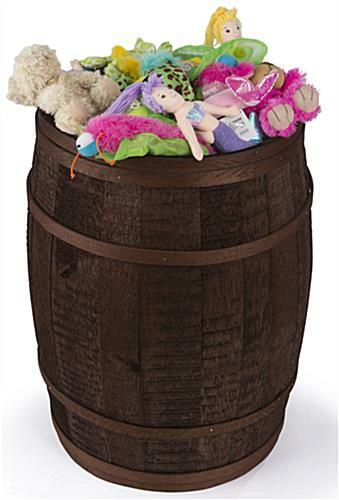 The farm-style wood casks can hold dry goods such as tools, toys, wrapped candy, bottles of wine as well as soft goods. 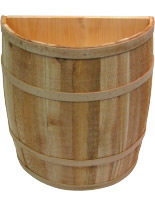 In addition, these country store-style dump bins can be used for decoration as well as merchandising in commercial, professional, and hospitality environments. 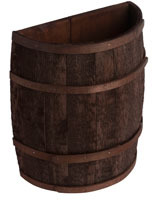 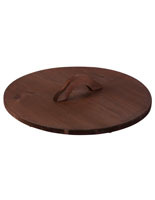 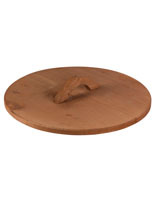 These dark brown finish containers are sent fully assembled and they have an attractive stain that will match a number of different decor styles.